Wireless Slide-Out Bluetooth Keyboard with detachable case. 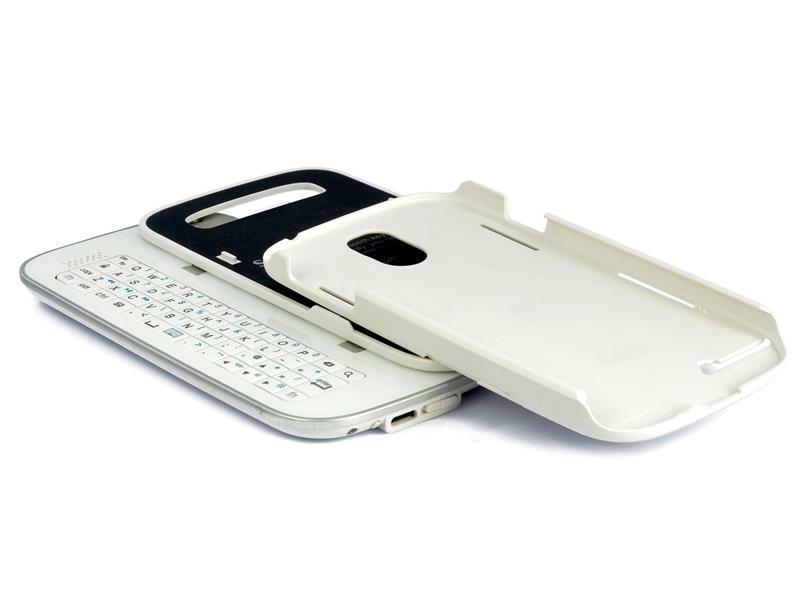 Specifically designed to fit the Samsung galaxy S4, this accessory doubles both as a wireless keyboard and a case. 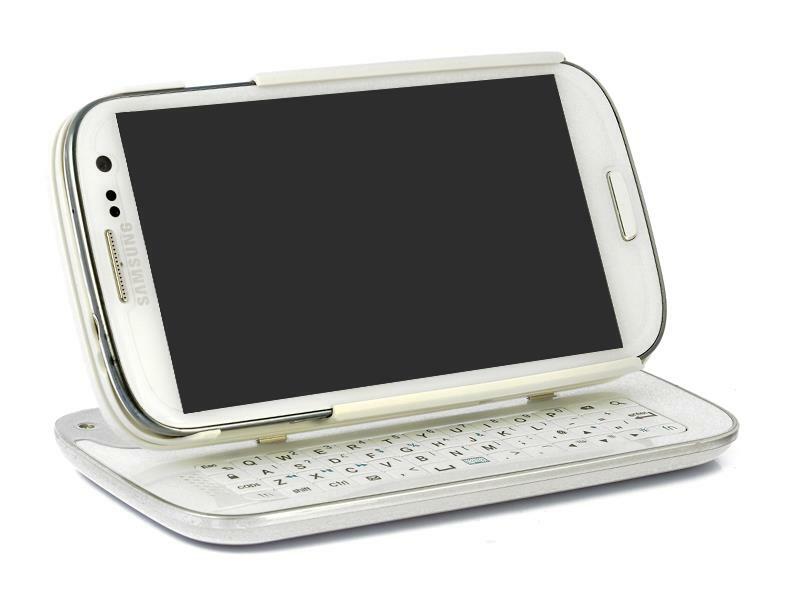 Give your Samsung Galaxy S4 the extra practically it needs with this Bluetooth keyboard and detachable case. Simply pair your phone to the keyboard using Bluetooth and type away. 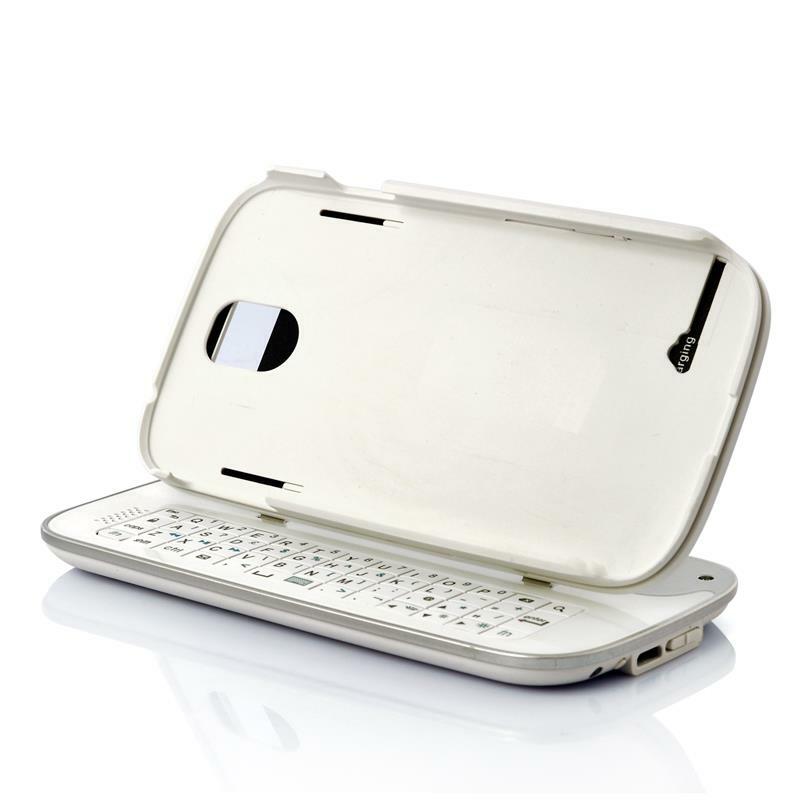 Perfect to write emails with, once attached to your phone it will transform your S4 into a mini laptop. 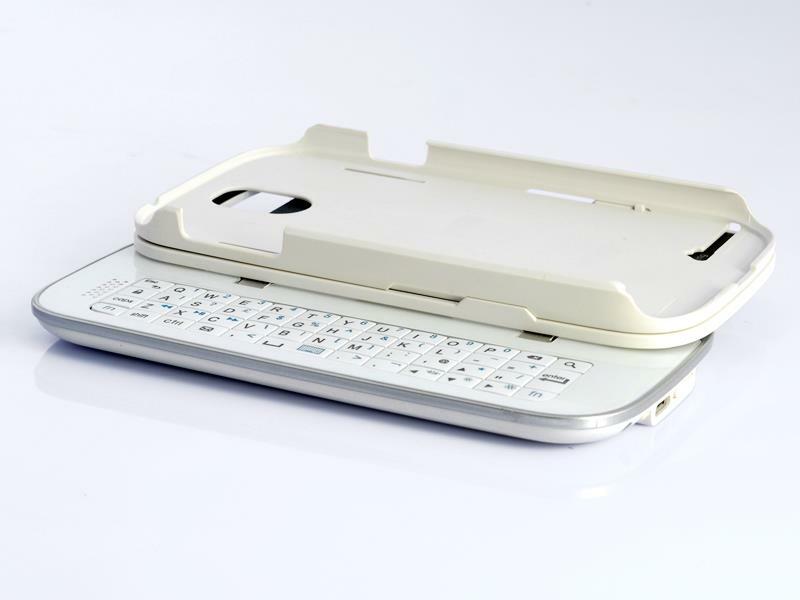 The included back case protects your phone against scratches and makes it easy to attach your phone to the keyboard. 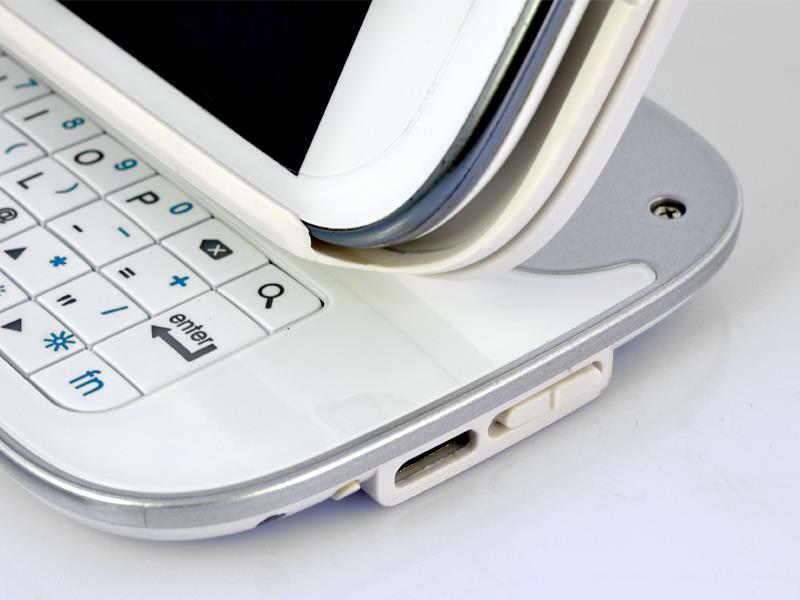 Simply slide the phone into place when you need the keyboard and slide it out again when you are done typing. The adjustable angle in which you can set the phone when docked into the case makes this the perfect phone stand as well. Watch movies and play games without even having to hold the Galaxy S4 in your hands!